Google has never allowed anyone under the age of 13 to have a Google account, and certainly no one would ever lie about their age on the internet. Right? Well, now you don't have to lie with the new Family Link app. 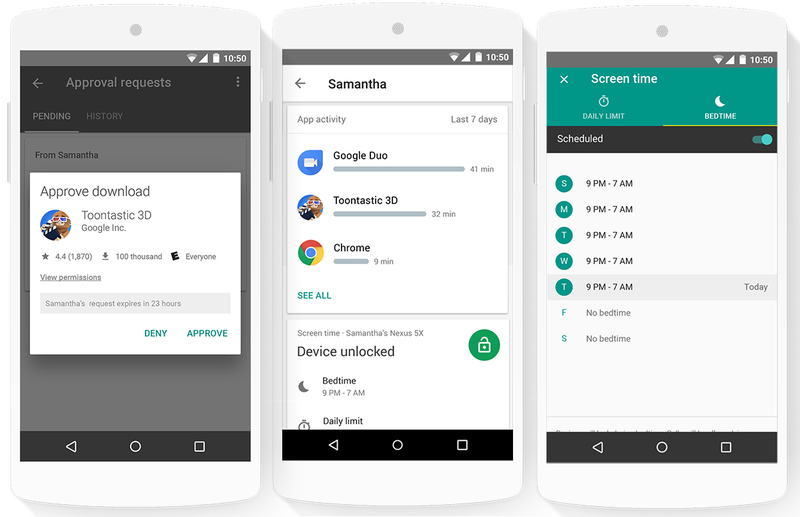 Family Link (invite-only and US-only for now) lets you create a Google account for your under-13 offspring with advanced parental controls built-in. There are some caveats, but this seems like a tool many parents will be anxious to check out. Setting up a Family Link account for your kid can only be done through the Family Link app, which is also what you use to manage the account and monitor device activity. One major drawback is that your child needs to be using a Nougat phone, but you can use Family Link to tightly control that device. It includes screen time tracking, bedtime schedules, and app rating limits. When setting up an account, you will be asked to pay $0.30. This isn't a blatant cash grab by Google—the FTC requires verifiable parental consent when collecting personal information about kids, and credit card payments are the easiest approved method. You could "object" to collection after seeing the charge on your account. Family Link is only for kids under the age of 13, but you have options as soon as the child hits that age. Parents and kids can keep using Family Link if they like. However, Google will reach out and give the birthday boy or girl the option of transitioning to a regular Google account, over which their parents have no control. I imagine most will take Google up on that offer. I hear teenagers are rebellious. If you want to check out Family Link, request an invite from the landing page. There's also some additional legal info you can review if you're feeling a little skittish about feeding your child's data into the gaping maw of Google.